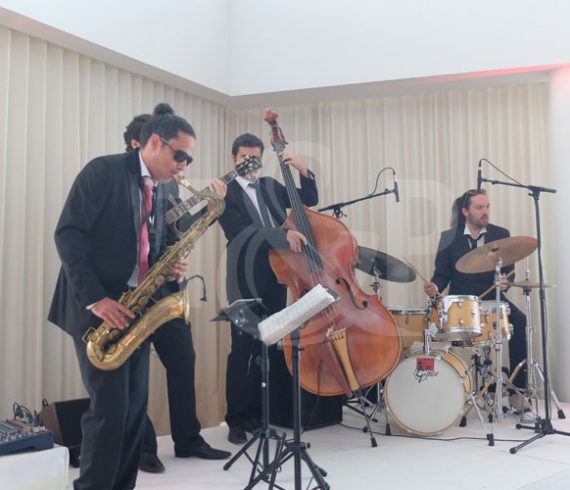 Our Jazz band played at the Monaco Yacht Club for the Russia Day, the national day of the Russian Federation. Technical settings provided by Concept Group Monaco. A private cocktail for 300 guests, with Ambassador’s speech, film projection and Russian music. What a great way to celebrate Russia ! Our great electrical violin player just came back from Milan, Italy where she attended Cisco Live Milan 2015. Cisco Live offers a unique combination of in-depth technical education and training and cutting-edge insights from the experts and organizations that are setting the agenda for the future of technology and business. For the opening cocktail of the event in Milan, our entertainment agency had been asked to provide some live music entertainment. We then asked our charming violin player to entertain all guests.